Highschool students analyzing data obtained with the 100-meter Robert C. Byrd Green Bank Telescope have discovered an exotic pulsar with the widest orbit known to date. PSR J1930-1852. Image credit: J. K. Swiggum et al. Pulsars (pulsating radio stars) are some of the most spectacular things in the known Universe. They are basically highly magnetized, rotating neutron stars that emit beams of electromagnetic radiation. This radiation can be observed when the beam of emission is pointing toward the Earth, much the way a lighthouse can only be seen when the light is pointed at the observer. The precise periods of pulsars make them useful tools. “Pulsars are some of the most extreme objects in the universe.” And the findings made by the high school students are very exceptional because they were able to spot the object in a very rare circumstance and occurrence. About 2,300 pulsars are known to astronomers, and about 10% of them are in binary systems, accompanied mostly by white dwarfs. 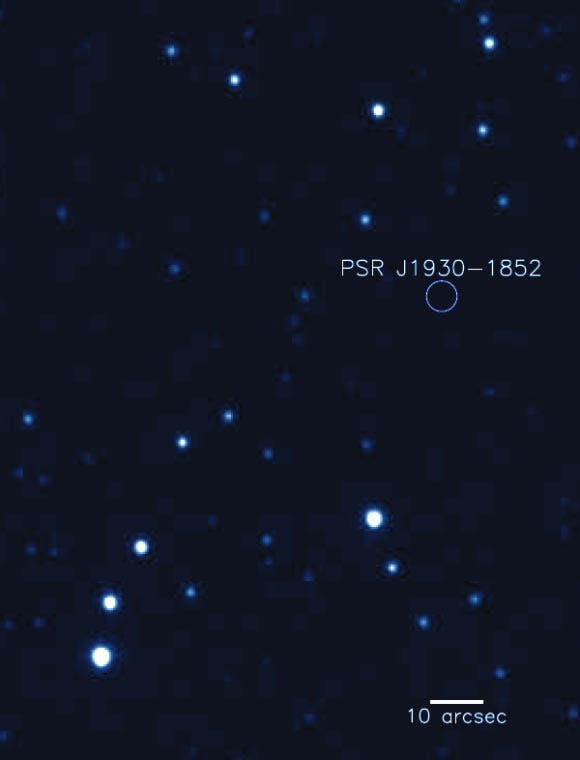 However, the newly-discovered pulsar, PSR J1930-1852, is part of a binary system which includes a neutron star. 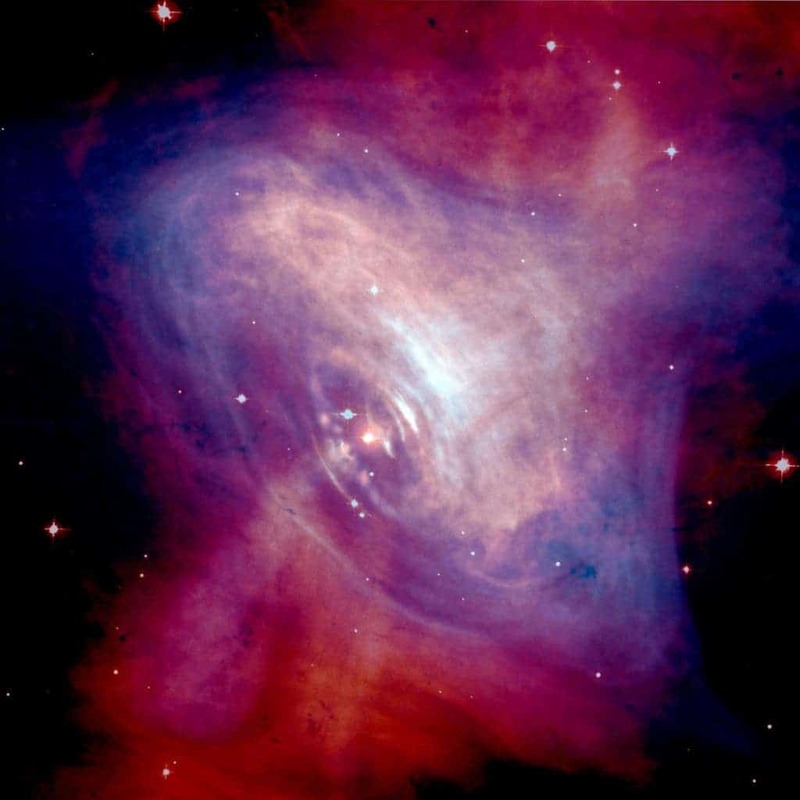 Composite Optical/X-ray image of the Crab Nebula, showing synchrotron emission in the surrounding pulsar wind nebula. Image via Wikipedia. “Given the lack of any visible signals and the careful review of the timing of the pulsar, we concluded that the most likely companion was another neutron star,” Swiggum added. This is special for two reasons – first of all, few pulsars are known in a binary system with a neutron star. Second of all, this pulsar has a much wider orbit than other known ones.